Hi. 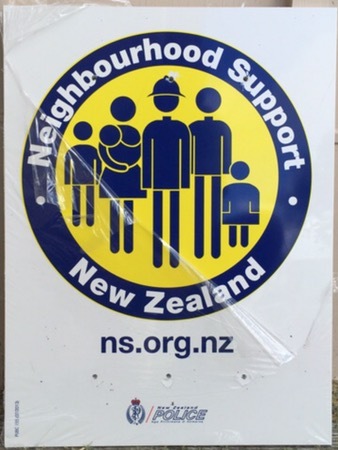 I have 8 large (A3 in size) plastic Neighbourhood support signs as pictured below available for collection from my home on Martin Access Road. First come first served – call me to reserve one on 09-4224001, must be in the local Ahuroa (and wider) areas please as they’ve been provided to help bolster our local group.